The Government placed considerable reliance on the flexibility of the UK constitution in its appeal to the Supreme Court in Miller, urging that this flexibility be employed to take full account of the factual and political context of the Brexit referendum in determining the legal questions before the court. In this post, I suggest that this plea for flexibility in construing the European Communities Act 1972 (‘ECA’) is unsupported by authority – in particular, the House of Lord’s decision in Robinson v Secretary of State for Northern Ireland  UKHL 32,  NI 390 (‘Robinson’), relied upon by the Government – and is indeed contrary to the courts’ proper constitutional role. In support of its contention that it retains prerogative power to withdraw from the EU despite the resulting sea-change in domestic law, the Government argues that, as a constitutional statute, the ECA must be construed “in the light of present constitutional circumstances” and “…by reference to the factual and political context of the present case” i.e. the fact of and outcome of the Brexit referendum (e.g. written case, para. 74 and Appendix, para. 3). This is said to be on the authority of Robinson, which the Government’s written case describes as holding that “the UK constitution allows a flexible response to events as they develop [ – in that case]…of the need to prevent the collapse of the Northern Ireland Government” (Appendix, para. 3). It contends that Robinson requires flexibility in the construction of the ECA to take account of the (asserted) fact that “…the premise of the [EU Referendum Act 2015] was the continued existence of the prerogative powers…to give Article 50 notification” and that this was “also the clear understanding of all concerned and the basis on which the people voted in the referendum” (written case, para 33). It suggests that the Divisional Court was accordingly wrong to treat the referendum as “merely a political event” with no legal significance (e.g. written case, para. 85). Robinson and the flexibility of the UK constitution also received attention in oral arguments and exchanges with the Justices during the four-day hearing before the Supreme Court. It was suggested by the Government that if the claimants and Divisional Court were correct that the ECA had placed a restriction on the use of prerogative power to withdraw from the EU (the metaphor of a “clamp” was used), the EU Referendum Act 2015 (‘the 2015 Act’) could be the legal means by which this was removed notwithstanding its textual silence on the matter (Day 2 transcript, p.26, line 11 ffw). In exchanges with the President, Lord Neuberger, and Lord Reed, an even more radical possibility of flexibility was mooted, namely that the constitutional effect of the 2015 Act and Brexit referendum might be to render the question of construction of the ECA for Parliament and not the courts (eg Day 2 transcript, pp.11-13 and pp.26-30). Is there authority – or otherwise constitutional warrant – for such flexibility in interpreting a statute such as the ECA? As is well-known, Robinson was a case about the correct construction of the Northern Ireland Act 1998 (‘the NIA’) and whether the provisions of that Act required that further elections for the posts of First and Deputy First Ministers had to be conducted within a specified six-week period notwithstanding that a first election, held shortly prior, had failed to achieve the election of candidates with the level of cross-community support required by the Act. There were textual indicators in support of a strict six-week requirement for the further elections (which the minority, Lords Hutton and Hobhouse, and the Lord Chief Justice in the Court of Appeal, found to be determinative) but the legislation contained no express provision directly addressing the question. It was in these circumstances that the majority had regard to the purpose of the NIA, as a constitutional statute implementing the Belfast Agreement, and held that an inflexible requirement to re-run elections within six-weeks – regardless of potentially damaging consequences for the political settlement – would be inconsistent with the fundamental objective of the Belfast Agreement to safeguard the sustainability of the fragile peace process such that it could not have been Parliament’s intention. In Miller, the Government relies on Lord Bingham’s reasoning (at -) that the NIA, as a constitutional statute – as all accept the ECA likewise is – should be interpreted “generously and purposefully” and against the background understanding that the constitutional tradition of the UK is not to set out mechanistic rules pre-determining all possible political contingencies, but instead to leave even matters of potentially great importance to the judgment of political leaders or the Crown so as to “permit a flexible response to differing and unpredictable events in a way which the application of strict rules would preclude”. However, Lord Bingham expressly identified three limits on this constitutional flexibility, which I would argue render problematic the Government’s reliance on this passage to support its case in Miller. Secondly, any construction of the Act must be “consistent with the language used”. And, while there is flexibility to construe language purposively to give effect to underlying constitutional values, these values are those that the drafters “intended to embody” (as opposed to those indicated by some subsequent constitutional event). As such, the court’s role remains an exercise in interpreting the statutory words enacted. Were it otherwise, “… the result [would be] not interpretation but divination” (per Kentridge AJ in State v. Zuma, cited by Lord Hoffmann in Matadeen v Pontu  AC 98 at 109). Put another way, it would be an exercise in politics and not law. Yet the Government’s plea for flexibility appears to call for precisely such constitutional divination given the absence of a textual foothold for its submissions regarding the amending effect of the post-ECA legislation relied upon. In the words of Mr Eady QC for the Government, in making the case for the 2015 Act having such effect, the court is not “in truth interpreting a provision of legislation” but “trying to discover its true constitutional nature and effect” (Day 2, p.28, lines 20-24). Thirdly, Lord Bingham specifically linked the flexibility of the UK constitution to respond to differing and unpredictable subsequent events to those circumstances where “constitutional arrangements retain scope for the exercise of political judgment”, giving as an example the power to dissolve Parliament. Lord Bingham was accordingly not laying down a universal constitutional prescription, but describing certain features of the UK’s constitution. The Miller case does not concern a constitutional arrangement with a retained component of political judgment. It raises hard-edged questions of law as to the legal effect of an Act of Parliament on the scope of prerogative powers and, as such, is squarely and exclusively a question of law for the courts. It is moreover noteworthy that in Robinson the focus was on what Parliament intended in enacting the NIA against the background of the foregoing peace process, whereas the Government’s plea for flexibility in Miller is altogether more far-reaching – being one for flexibility in the effect of subsequent legislation (and possibly subsequent wider constitutional events) on the construction of a previously enacted statute, in particular via the antiquated in pari materia rule (that a later Act on the same subject matter as an earlier Act may be used as an aid to construction of the earlier Act). This is and should be less fertile ground for a plea for flexibility. The basic principle of reliance on subsequent legislation to alter the effect of an already enacted Act is necessarily “… whether or not Parliament intended to effect such an alteration” (Bennion on Statutory Interpretation, 6th ed, Code s.234). A conclusion that a later Act has impliedly amended an early Act on the same subject matter by the reading of two Acts together is in modern times exceptional. As Bennion explains, it is a “sloppy” drafting device, “almost certain to lead to trouble” and has therefore “fallen out of use among good drafters”. “If an alteration of the earlier Act is intended, it should be made textually” (ibid). This is surely a fortiori in the case of an amendment to legislation deemed of constitutional status because Parliament has specified that it cannot be repealed by implication, or when the putative amendment otherwise impinges on fundamental constitutional principles (a point to which I return briefly below). Special flexibility to allow the court to reach the conclusion that a later Act has amended the effect of earlier legislation without a clear textual foundation is moreover an invitation to identify Parliamentary intention other than through the established means for doing so. This is well illustrated by the Government’s written case in Miller. For example, the footnote in support of the Government’s assertion regarding the “clear premise” of the 2015 Act (and popular vote in the referendum) invites reliance on a number of ordinarily inadmissible aids to construction, including a statement by the Minister introducing the EU referendum bill (notwithstanding that there is no ambiguity in the language of the 2015 Act); a passage in the Conservative Party manifesto; and even a leaflet delivered to households during the referendum. The problems with seeking to discern Parliamentary intention from Parliamentary debates in the case of ambiguous statutory language pursuant to the strict rule in Pepper v Hart are notorious (see eg per Lord Hoffmann in Robinson at -). The myriad additional problems arising from employing a broader range of sources extraneous to the statutory language to discern Parliamentary intention – let alone popular intention in a referendum – are self-evident. There is a more fundamental objection to the Government’s plea for special flexibility in construing the ECA. On the case as put by the claimants and accepted by the Divisional Court, the proposition that the Government retains prerogative power to withdraw the UK from the EU, despite the resulting sea-change in domestic law and removal of individual rights, engages certain fundamental constitutional principles. These include the proscription on the Executive altering domestic law without statutory authority and the principle that fundamental rights recognized by the common law can only be abrogated with express statutory authority (the so-called ‘principle of legality’). These principles were not at issue in Robinson. In contrast, I would argue that – assuming the Supreme Court likewise accepts these fundamental principles to be engaged – their proper application is critical to assessing the constitutional propriety of the Government’s plea for flexibility in Miller. It is trite that legislation is not enacted in a vacuum and that legislators and drafters take for granted (and in any event are assumed by the courts to take for granted) long-standing principles of constitutional and administrative law such as those relied on by the claimants and Divisional Court. These principles do not just illuminate Parliamentary intention, but also define the proper constitutional relationship between the branches of government in the UK. As Cross on Statutory Interpretation explains: “These presumptions of general application not only supplement the text, they also operate at a higher level as expressions of fundamental principles governing … relations between Parliament, the executive and the courts. They operate here as constitutional principles which are not easily displaced by a statutory text” (1st ed. (1976), pp. 142-143, cited by Lord Steyn in R v Secretary of State for the Home Department ex p Pierson  AC 539 at 588). The court’s constitutional role – and its proper relationship with Parliament and the Executive – is thus inherently to adopt a strict approach to putative derogations from fundamental constitutional principles by insisting on clear statutory language authorising any derogation. The courts thereby prevent these fundamental principles from being overridden casually, not least since there is otherwise “too great a risk that the full implications [of so doing] … may have passed unnoticed in the democratic process” (per Lord Hoffmann in R v Secretary of State for Home Department ex parte Simms  2 AC 115 at 131). It is not hard to see why this is an essential discipline in the UK’s flexible constitution, in which a sovereign Parliament has unlimited power to override even the most longstanding and important of constitutional principles through ordinary legislation. Yet the Government’s case fails to explain how its plea for special flexibility – and in particular, its contention regarding the effect of post-ECA legislation despite its legislative silence on relevant matters – can be reconciled with this core constitutional role of the courts. In his famous 1959 Holmes lecture ‘Towards Neutral Principles of Constitutional Law’ (1973 Harv L Rev 1-35) – cited to the House of Lords in Robinson – Professor Herbert Wechsler identifies as “…the main constituent of the judicial process” that it be “genuinely principled, resting with respect to every step that is involved in reaching judgment on analysis and reasons quite transcending the immediate result that is achieved.” In Robinson, there was no contradiction between the majority’s flexible approach and these principles, since the antecedent Northern Irish peace process was clearly part of the admissible background to aid construction of the NIA on established principles of interpretation. I have suggested above – both on narrow and broader constitutional grounds – that the same cannot be said for the Government’s plea for special flexibility in the construction of the ECA. As the extraordinarily constituted Supreme Court deliberates following the hearing in Miller, it will no doubt be all too aware of the pressing factual and political context of the extraordinary case before it. However, if it is to comply with Professor Wechsler’s constituents of sound judicial decision-making and avoid a landmark decision that risks weakening fundamental constitutional principles governing the relationship between Parliament and the courts (established through the joint effort of the courts and Parliament over a period of time stretching back long before 1972), it is to be hoped that it will treat the Government’s plea for special flexibility in the statutory construction of the ECA “by reference to the factual and political context of the present case” with considerable diffidence. The author would like to thank Professor Alison Young for helpful comments on an earlier draft of this post. 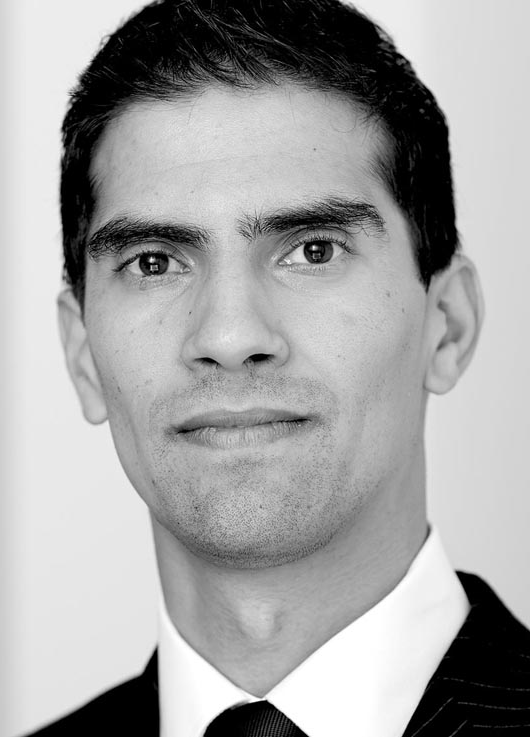 Raj Desai is a barrister at Matrix Chambers. Now let’s get to basics that every person can understand! Parliament and the government in theory at least are subservient to the people. The people wanted and were given the say (credit to Cameron) on membership of the EU, via a vote of Parliament. The people decided. A vote of MPs is pointless and contradictory. All that is required now is for the government to do its job as directed by the people. They have the scope and authority to determine how. There has already been too much interference by meddling losers of the vote. The second half of that last sentence in particular applies today as strongly as ever. The argument is that what is required is a legal act. The referendum was a political act. At its minimum one could regard this as a procedural issue since Parliament has already indicated it will pass the necessary act. “2. A written request for instructions from a diplomat to a government. Obs. rare. A Latin dictionary would be more useful than an English one, since the word apparently came into use in modern times in the 19th century when virtually all educated men, and especially lawyers, spoke Latin. It is both the gerund and gerundive of ‘referre’ = ‘to carry back’, and carries no presumption as to as to what should happen next. The OED definition is much too prescriptive. The Swiss have referendums on all sorts of things that are not particularly important – that is just how their democracy works. Surrey County Council’s proposed tax hike to pay for social services hardly comes into the Brexit category either. Likewise there is no reason to presume that the referring body is bound to comply with whatever the public might say on the issue, unless of course the referring is done in some legal context such as the Swiss constitution which may stipulate the consequences. If they do they usually require a minimum majority or electoral turnout, or both, before any vote for change must be implemented. So we’re back to the Referendum Act 2015 which is silent on whether the referendum was to be advisory or mandatory. Given that the UK’s constitution assumes the supremacy of Parliament, I would expect to see clear words before Parliament should regard itself as bound by any outcome. As it is reasonable and permissible to refer to Hansard in such circumstances, this establishes that the referendum was merely advisory – see below. (It is perhaps sad that it wasn’t made mandatory, as had been promised in the Conservative 2015 manifesto, as any majority for Leave would then probably have been made subject to its meeting minimum hurdles, such as at least 40% support from the total electorate and/or a margin of at least 10% or 20%, which the actual majority would have failed to achieve). What you “and others”, or indeed I, say is not an authorative source of law. That will be given by the judgment tomorrow. The legal submission in the printed case of Lawyers for Britain is that the referendum result raises a novel point of law, requiring statutory construction, since it is contended this is the first UK-wide referendum to disagree with the status quo. The Supreme Court’s judgment should answer this printed case. You, and others, have not provided a legal argument that comes remotely near convincing me why the well-established literal rule of statutory construction in conjunction with the well-known ordinary meaning of “referendum”, given above, does not apply. Having finally bothered to look at the OED, I do not find it either surprising or necessary for the 2015 Act to have said expressly that that the referendum was either advisory or decisive since this is prescribed by the ordinary meaning and the literal rule, unless there is a legitimate reason for disapplying the latter. You have failed to mention statements by Government proposers mentioned in the legal submissions in oral and written argument that conflict with Mr David Lidington’s CBE PC MP’s interesting statement. The conflict was mentioned by the Justices in the hearings. The judgment should say whether this conflicting Hansard material is admissible under the test in Pepper v Hart, what weight is given if any is given, and what conclusions are drawn by the Justices if the evidence is admitted. What I will find “sad” is if the judgment silently breaches well-established and well-known canons of statutory construction and gives a perverse legal meaning to”referendum” which conflicts with the well-known, but seldom mentioned, ordinary meaning. This is not because I care one way or other about Brexit (my arguments would be identical if the referendum had reached the opposite result), but because I feel that would be profoundly undemocratic, illegitimate, and unjust. This entry was posted on January 17, 2017 by Constitutional Law Group in Europe, European Union, Judicial review, UK government, UK Parliament and tagged Brexit, Brexit judgment, Constitutional Statutes, European Communities Act 1972, European Union Referendum Act 2015, Miller v Secretary of State for Exiting the European Union, Northern Ireland Act 1998, prerogative powers, Robinson v Secretary of State for Northern Ireland, Royal Prerogative, statutory silence.